WOOD COUTURE is an experimental product and material project, that plays with the expectation of materials and the way to process them. 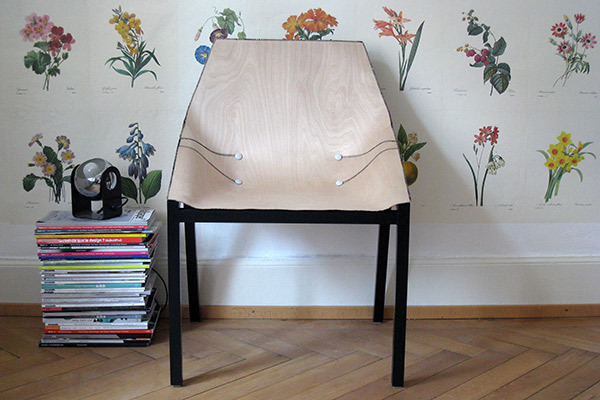 Treating very thin plywood like a fabric gives rise to new formal and technical details, such as seams, buttons, eyelets or crocheted borders. The aim was to find interesting and intriguing detail solutions to create hybrid objects, somewhere between textile and wood. To find the possibilities and limitations of the material, I created a series of BOWLS to test and error. What radiuses were possible? How to get the material softer? How to take advantage of the fibre direction? What connections are feasible? 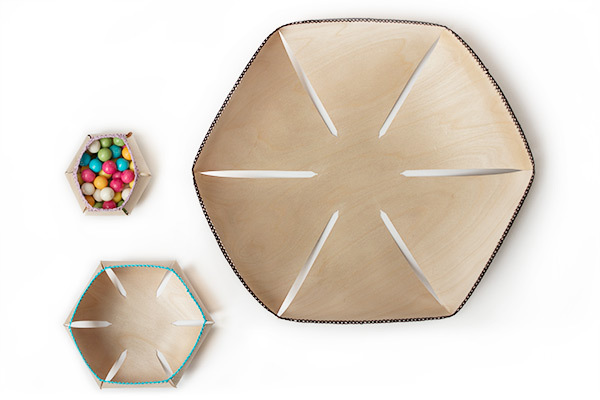 The WOOD COUTURE TOYS pursue the target to mix up the message of object and material. Too airy to be wood, too wooden to be a cuddly toy, too fragile to play with, too abstract to be a collectors vehicle. 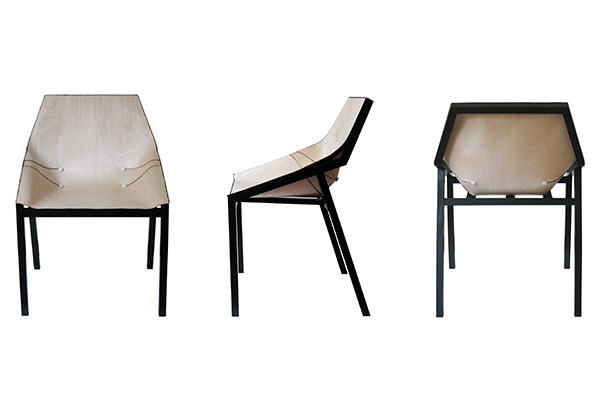 The WOOD COUTURE CHAIR brings together all the gathered experiences in a „serious“ piece of furniture. 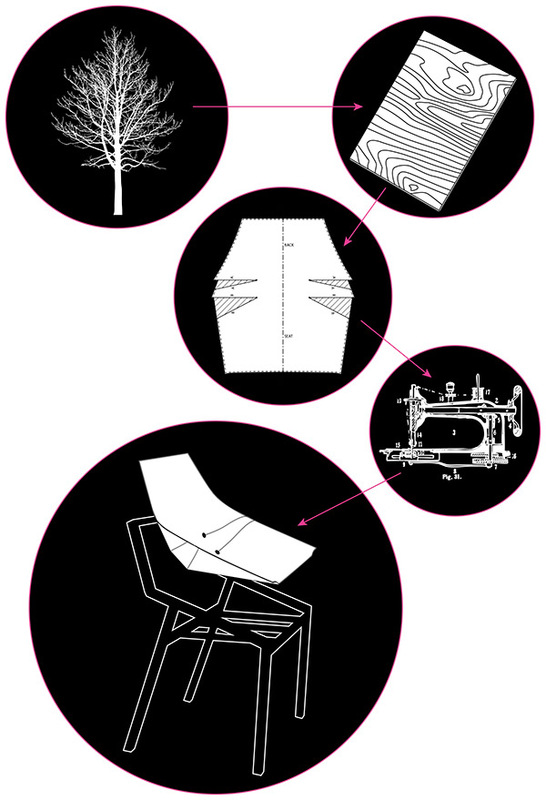 The challenge was to scale the details and to create a comfortable seating shell, another time formally between a wooden and a textile element. WOOD COUTURE came out of a former free work, whose objective was to use the world of the tailor‘s workshop as an inspiration and field of experimentation. 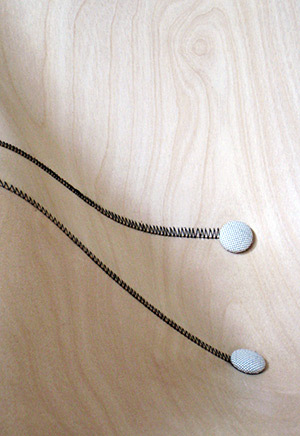 In the beginning of 2012, I started to focus on sewing plywood. It would be a next step to figure out, how to automate the processing.